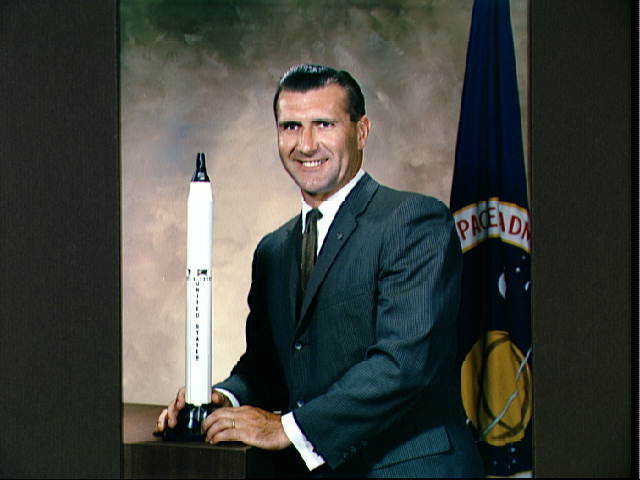 American astronaut and pilot who was the pilot for the three-day Gemini XI mission (1966), on which he made two extra-vehicular activities. 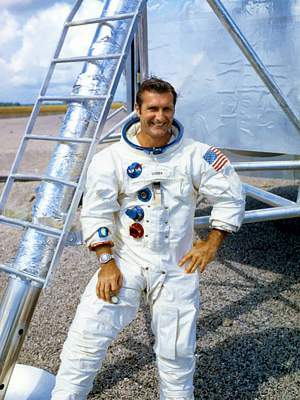 He also flew for ten days in space on Apollo XII (1969). 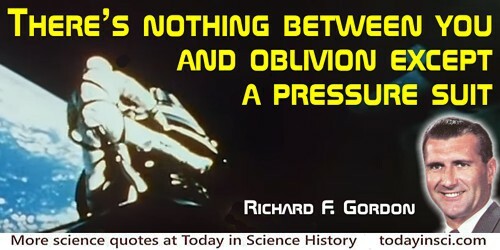 There’s nothing between you and oblivion except a pressure suit, and you just can’t afford to get out there and get in a big rush and tangle yourself up where nobody can help you. … The biggest thing I’ve learned from the people that have gone in the past, you simply have to take your time, and you can’t exhaust yourself. — Richard F. Gordon, Jr. In AP feed newspaper articles, for example, in the Bridgewater, NJ, The Courier-News (7 Sep 1966), 8. First and last phrases quoted in John Barbour, Footprints on the Moon (1969), 110. 5 Oct - short biography, births, deaths and events on date of Gordon's birth.